“Veeam Backup Solution” One of the most worrying aspects of managing an IT infrastructure within an ‘Always on Enterprise’ is, “What happens if we lose everything?” How do you ensure you can recover all your data and not lose productivity, service or have conflicts with data you have managed to save with elements that were corrupted or lost? Fortunately, there is a solution that has you covered continuously, around the clock, all year round. 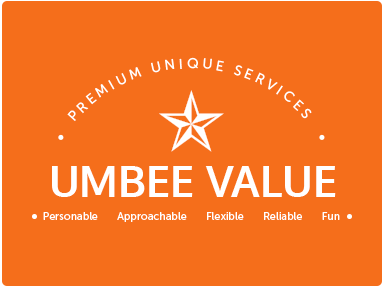 Umbee only select the products and solutions we trust to provide all our customers with the best services available, which is why we provide Veeam Backup Solution from the comprehensive suite of Veeam IT solutions. Veeam Backup solution is an industry leader in its field; for the last four consecutive years it has won the SVC Awards’, “Backup and Recovery/Archive Product of the Year” and for the last 2 years it has been included as a class leader in the ‘Gartner Magic Quadrant’ class for ‘Data Centre Backup and Recovery Software’ class. Veeam provides a highly reliable, fast and flexible solution to full data recovery of virtual, physical and cloud environments by providing backup, replication and restoration in one software solution. It provides a dependable resolution to protect all data, all apps, in any cloud provision. Veeam Backup Solution has a wide range of features to ensure the very best protection for your data back-up needs with built in management for full integration for Veeam on Microsoft Windows and Linux run systems. Built in WAN acceleration – backups (off site) are 50 x faster than other systems, saving bandwidth and time. Direct access to storage, enabling performing vSphere backups faster via direct SAN and NFS access. Unique ‘Scale Out Back Up Repository’ ™. This is an accumulation of single back up storage segments to which individual back ups can be assigned, this makes it seamless to extend storage capacity when it becomes required. Image based VM (virtual machine) replication for full disaster recovery of mission critical applications and data. SureReplica™ branded solution to automatically test and verify each VM replica to provide validated recovery assurance. Replica roll back, and assisted failover and failback process ensures little, to no, interruption to your business systems. With robust back up and VM image replication in place, should your IT system have a failure, Veeam recovery features protect your full data resources and recover your system quickly and flawlessly. Instant VM Recovery® feature that enables VM failure to be rectified in under 2 minutes to improve recovery time objectives. Instant VM Recovery uses branded vPower technology to mount a VM image to an ESX(i) host from a deduplicated backup file. The system works by utilising a ‘temporary spare VM’ so you remain in full production while the failure issue is dealt with on the failed VM. Instant file level recovery to recover guest O/S files. ‘Storage snapshot’ facility enables true back up and replication from snapshots. These can be implemented as often as you want with minimal disruption to productivity from world leaders of storage provision, such as MS Azure, Cisco, Dell EMC, HP Enterprise, IBM, NetApp, and Pure Storage. Native tape support; growing enterprise environments and those with large investments in existing hardware may need to use native tape technology; entire VM or individual files can be directly restored from native tape. Full support of VTL (virtual tape libraries) is available, if the VTL is visible on the device manager it will be identified and utilised by the Veeam software. Veeam Explorer interface enables comprehensive access and control over completing operations such as recovering data from MS active directory, including Microsoft exchange individual items, even hard deleted items, find and recover specific Sharepoint backups, table-level recovery of SQL databases, transaction level recovery of Oracle databases including agentless transaction log and back up for precise in-time restore. These features give you complete security against loss of mission critical data by machine failure or accidental manual deletion. Veeam regularly update their software to increase performance to ensure your system is always running the most up to date version with no updates, downloads or re configuring required by the end user. This continuing high level of expertise ensures verified data protection and recoverability through a proactive solution, rather than reactive approach with VM system downtime if a critical failure should happen. New for quarter 1 /2018 is a data location tagging update to ensure GDPR compliance. This new update enables location tags to be assigned to items in the backup infrastructure. This prevents accidental errors when configuring backups and replication with out of place restores- the Veeam system issues a warning if a recovery action will cause a data sovereignty violation. 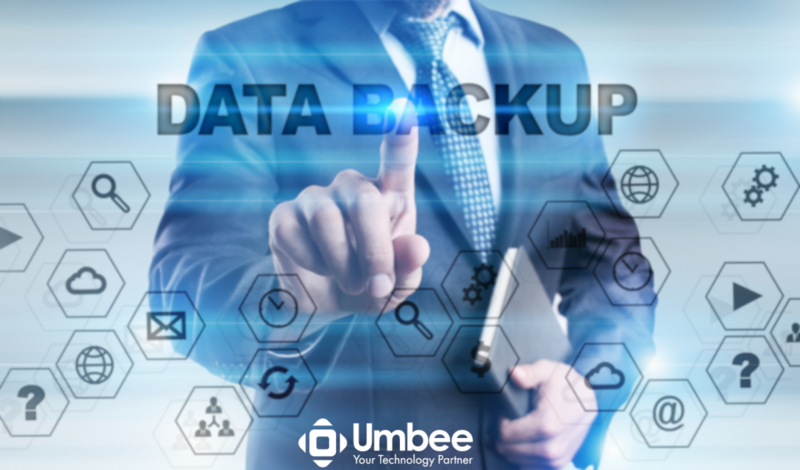 We believe that this backup, replication and restore software system is the very best technology to guarantee total security for your cloud, virtual and physical data security and protection; all from a single management console to streamline and uncomplicate your business IT infrastructure.